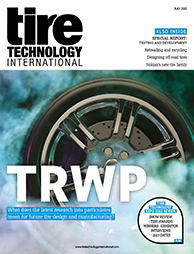 The beating heart of a tire plant is the drive system, and Nord Drivesystems will be showing a complete portfolio of equipment to keep the tires moving. 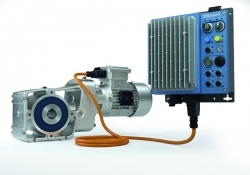 LogiDrive includes an energy-saving IE4 synchronous motor with a rated power of up to 5.5kW, a two-stage helical bevel gear unit and a Nordac Link frequency inverter mounted close to the motor. The entire system has a modular design so that all components of the drive technology can be individually serviced. To ensure safety, Nord supplies frequency inverters with integrated STO and SS1 to ensure failsafe communication to IEC 61800-5. Safe movement functions are made possible by the SK TU4-PNS PROFIsafe module. Functions such as safety limited speed, safe speed range, safe direction, safe operation stop and safe speed monitor can be integrated to expand the safe stop functions of the drive units.